It's the common man's penny that gets spent by the government on each of its activity. Hence the common man should raise his voice whenever he sees his penny being spent by the government unnecessarily. Have you ever seen full page advertisement of some government highlighting the contribution of the minister or a few leaders? Yes, you must have seen. It is very common in our country. What is your reaction to such advertisements? If the government has done something good for the people – it has done its duty. What is the need to put a full page advertisement on such an issue? Isn't it a personal advertisement? Is it preparation for next elections? Why should government pay for such advertisements? Isn’t it wastage of resources of common people? How can we stop such wastages? Wastage of resources must be stopped – be it in any form. If the wastage of resources is being carried out by the leaders, it is certainly a matter of shame. Wastage of precious resources is a price that every one of us is paying for, because we have accepted such people as our leaders who don’t understand the priorities of the people. Advertising is a powerful paid medium to influence people. It is one such medium, which can force people to change their attitude, habits, and thinking. It is one of the most powerful tools for transformation of organisations and institutions. Through impact making advertisements, the society can transform itself and get rid of its stigmas and evil practices. However, if poorly used, it only piles up wastages and increases costs, which results in burden for the society. 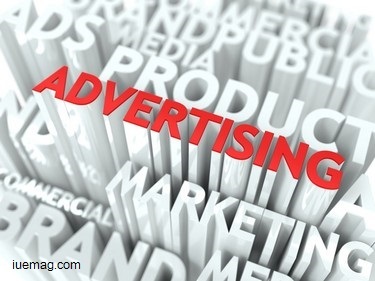 Private sector uses advertising with utmost caution and proper analysis of costs and benefits. Creative people are engaged in designing advertising themes and contents. Every penny spent is counted and there are proper evaluations for the prospects. Constant focus results in powerful and impact making advertising themes, which are remembered by the people. Take “Utterly Butterly Delicious” an advertisement campaign, which has been making impact on people for almost fifty years. Even today this advertisement creates a lasting impression. There are innumerable such examples, which prove that the advertisements can be a very creative medium to reach out to people. On social front also, creative advertisements have helped us in fighting evils like Polio, Child Marriage etc. However, when we look at the advertisements issued by most of the governments these days, the advertisements only show the photographs of some minister and it looks more like a personal advertisement. Governments after governments are spending massive resources on advertisements, which are just personal advertisements of some political leaders. The apex court of India has asked not to give pictures of political leaders on government advertisements (except photographs of President, Prime Minister and a few other top positions). Ideally, the expenditure of these advertisements should be borne by the political parties, for which these advertisements were planned. If the government wants it can easily transform our society through the medium of advertisement. The huge funds which are, today, spent on advertising a leader’s contribution (through government’s funds) can be diverted towards removal of social evils. However, the government will not take such actions. The courts may direct governments, the public may make an outcry, the media may lament such actions, yet the governments will not stop wastage of precious resources. What is required is a concerted action on the part of people. Common people must raise their voice against such wastage of resources. Every one of us, who is a witness to the wastage of money, wish to take some action to stop this wastage. An ordinary person may not be an expert in the art and science of advertising, but he/she also reacts to stop the wastage of money. In fact, it must be noted that the common people indirectly takes actions against such government which advertises more. I have seen a political leader, who used heavy advertisement, but failed miserably during next elections. His failure was not due to his deeds, but due to heavy advertisements which created a feeling of distrust among people. Excessive advertisements do create distaste among people who feel cheated and wish to take revenge during next elections. It is the power in the hands of people. Next time you see the wastage of resources, take a decision to take revenge and share this idea with the people around you. Any facts, figures or references stated here are made by the author & don't reflect the endorsement of iU at all times unless otherwise drafted by official staff at iU. This article was first published here on 30th May 2015.